Transport Malta has long recognised trees as road hazards - but did it act? 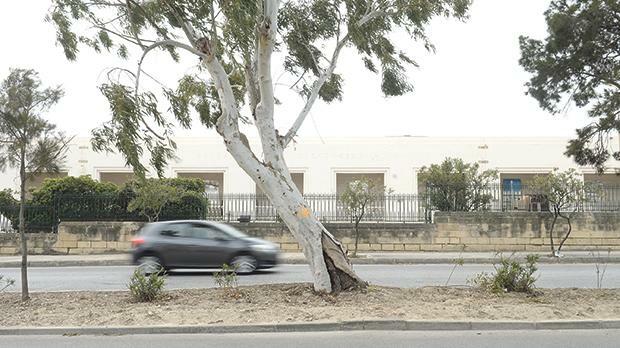 Transport Malta drew up a set of guidelines that recognised trees as a potential roadside hazard back in 2011 but it has failed to confirm whether these guidelines had ever come into effect. The removal of such obstacles could reduce fatalities, according to TM’s Technical Guidelines for the Preparation of Road Safety Audits, Road Safety Impact Assessments and Road Safety Inspections. Times of Malta sent questions to TM following the death of two people on a sightseeing bus which hit a low branch on Valletta Road in Żurrieq. Another 50 were injured, two children critically. 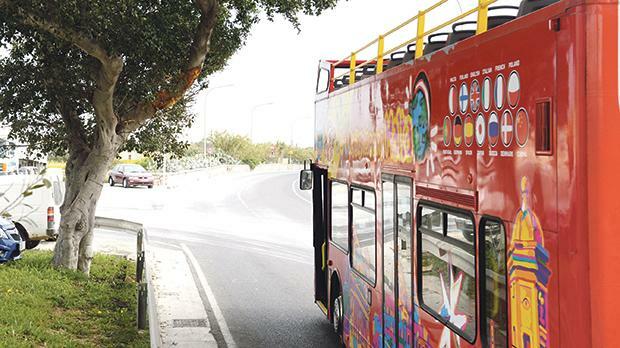 Soon after the incident, double-decker bus drivers and tour operators told the Times of Malta that they had long been worried about low-hanging tree branches and electricity cables. The guidelines were published in October 2011, following a European Union directive on road infrastructure safety management, which aims at ensuring safety in all phases of planning, design and operation of road infrastructure in the Trans-European Road Network, part of which lies in Malta. The directive requires Member States to undertake road safety audits, impact assessments, inspections and high frequency collision investigations on the TEN-T roads. The directive was transposed and formed part of the New Roads and Road Works Regulations, since the guidelines needed to be in place by December of that year and audits needed to start being undertaken by December 2013. TM was asked when these guidelines had come into effect, how many road safety audits have been carried out since then, and on which streets. The only reply received by this newspaper was that it has performed 49 road safety audits in various stages on different roads. No further details were given. The guidelines say trees and landscaping are a “potential roadside hazard” and need to be taken into account before a road is opened. So do the species of trees and expected mature trunk size, as well as foliage likely to hang over traffic lanes and infringe clearance for large high vehicles. A tree in Mrieħel yesterday carries a marking made by the authorities after February’s tragic accident in which a Romanian man was killed by another tree nearby which fell onto his car in high winds. Yesterday was another windy day… how long will this tree remain standing? Meanwhile, during the early operation stage of a road, the audit should include the degree of hazard associated with large trees and whether these could be treated to improve roadside safety. Although road safety audits are usually carried out on a new project or the redevelopment of an existing road, the guidelines also provide for road safety inspections for existing roads. According to the document, inspections try to “prevent accidents through the identification of safety deficiencies for remedial action rather than responding to recorded crashes”. The inspection checklist, which outlines the criteria that serve as a basis for evaluating road safety, includes questions on whether fixed obstacles, including trees, are avoidable, set up at sufficient distances or safeguarded. The Malta Road Safety Council was asked whether it was aware of such guidelines and whether it had ever drawn the attention of the authorities to roadside obstacles such as trees. The council’s role is one of raising awareness and educating. Its representatives include the police, Civil Protection Department, Mater Dei Hospital and the Blood Transfusion Unit. The council was looking forward to the setting up of the accident investigation agency as announced by Transport Minister Ian Borg last year, Mr Vella said. It has been pushing for the creation of an authority that allows for a scientific investigation of accidents. Mr Borg had said that the agency would be set up by this year.